BoW-GAN was established in 2004. In the beginning we worked as a subcontractor for Beck & Pollitzer. Since 2006 we have started offering our services as independent company. We specialize in tasks like: relocations and installation of machines, industrial power systems installation, complete steering cabinets realization, machines modernization and many other services for industry. Our company have performed services for many companies. Mostly they are companies with automotive profile but also textile and electronics. Our biggest project was to dismantle the complete aluminum extrusion line in western Germany, arrange transport to Vietnam and re-assembly the line at the target site in Song Cong city in northern Vietnam. We cooperate with many local suppliers (electrical, metal, technical wholesalers; service companies offering forklift and platform rental, etc.) what makes our offer complete and financially advantageous. Our team consists of highly qualified employees having all necessary licenses in the area of service provided. Supported by professional equipment we can be up to any task. One of the key elements of corporate production is the necessity of machines and equipment relocation between departments. Our qualified team will take all tasks needed for relocation – from necessary work identifying, through scheduling and realisation, until location and start-up in destination place. We completely make industrial electrical installations in the area of: projects and electrical schemes, machines power supply installation, installation of cable routes, steering elements installation, control desks, operator’s panels, machines modifications, installation electrical switchgear low tension, installation of lighting for offices, workstations. We perform many types of technological systems encountered in the industry. Mainly compressed air installations, technical gas installations, chilled water installations, drinking water installations, drainage, compressed air supply (raw material transport). Installations can be made using metal, PP or PVC. 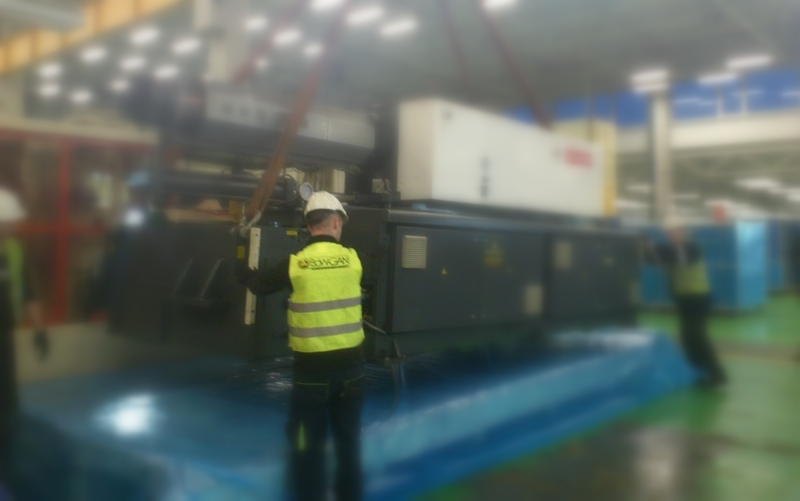 In this field we offer assembly, dismantling or modernization of steel structures and machines. We manufacture steel structures in various forms eg: adapters for presses; pillars under cable routes; strengthening; transport trolleys; racks for containers using roller rails. We also offer dismantling of structures, installations or technological lines.